Do you want to help your children learn about dental care to ensure their teeth and gums are strong and healthy? Are you hoping your children will take good care of their teeth so their smiles are bright and cheery as they grow older? 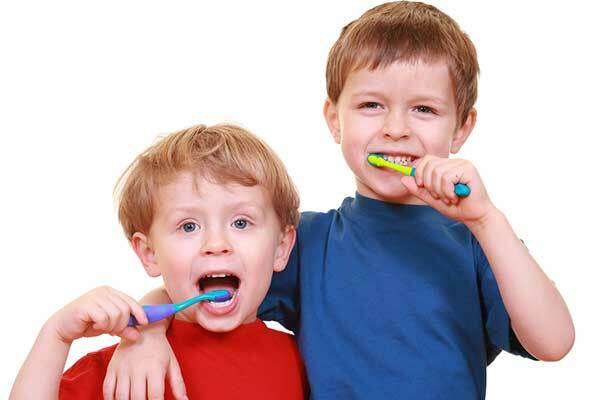 Helping your kids have healthy teeth and gums is an admirable goal, and it is easier to accomplish than you think. Teach your children the following three dental tips and your little ones will be well on their way towards a gorgeous smile. Remind your children to chew their food evenly on both sides of their mouth. If a child favors one side of their mouth over the other, they can harm their jawline and cause long-term dental issues. Make a game out of chewing evenly on both sides of their mouth and your child won’t even notice they’re learning good dental practices in the process. Teach your children about the harmful effects of sugar on their teeth. When your kids see other children enjoying sweet juices and carbonated beverages like soda pop, they can crave those same beverages or ask for sweet drinks as a treat. If you make the effort to teach your children about how sugar impacts the growth and stability of their teeth, they’ll be less likely to want those drinks and risk ending up with dental damage. Teach your children the importance of giving each of their teeth equal care and attention. Make it clear that if they avoid brushing the teeth at the back of their mouth, they could end up with tooth decay, gum disease, or losing them completely. When children understand that each tooth needs the same amount of attention, they’re more likely to put extra effort into their brushing. Help your children learn these three important dental tips and not only will they have healthier teeth and gums, you might even reduce the amounts you pay for dental emergencies. While visiting a dentist is awesome for overall health, you can reduce your dental care expenses by helping your little ones to take excellent care of their mouths.